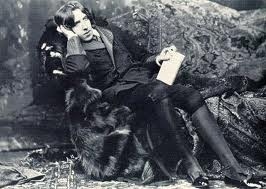 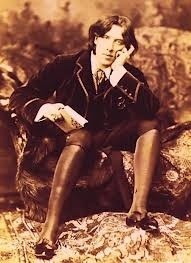 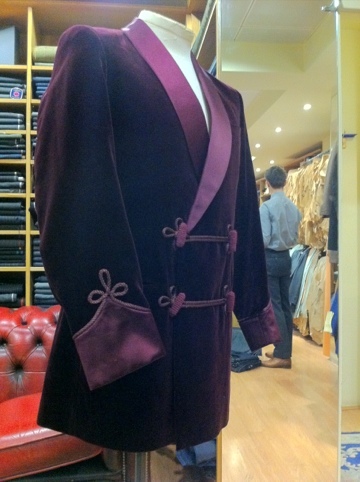 When looking back through old pictures of style icons of their time they all seemed to have one thing in common, a velvet/smoking jacket. 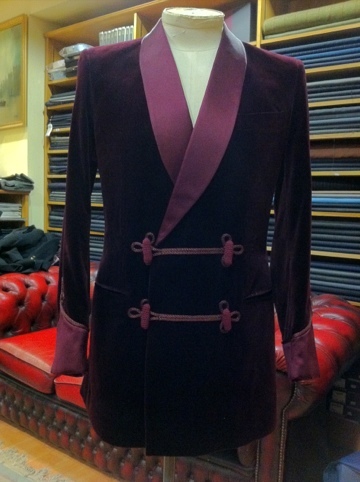 Oscar Wilde is one that springs to mind who loved to don velvet, and it seems that the fashion is coming back round again, even Brioni have raided Oscar’s 1880’s wardrobe for this seasons inspiration. 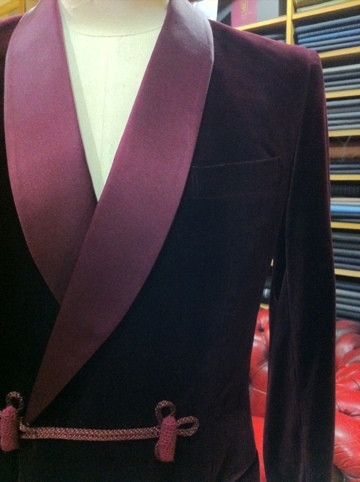 Here are 2 different options when it comes to velvet, the first is a very striking maroon velvet smoking jacket with a shawl collar in maroon satin silk and froging. 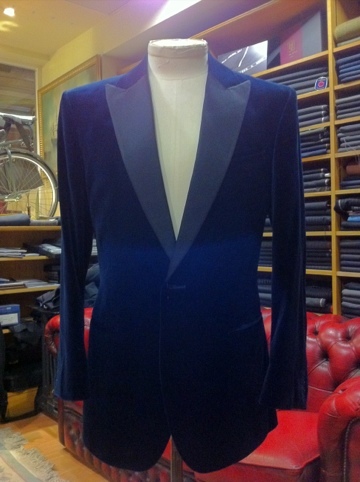 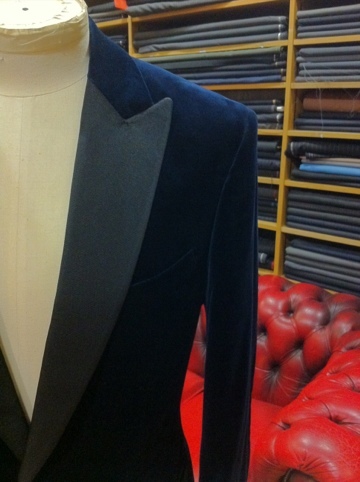 The other a more subtle navy velvet with peak lapels in midnight blue ribbed silk.